There were a number of world leads and meeting records set on Saturday as Prefontaine Classic action continued in Eugene. 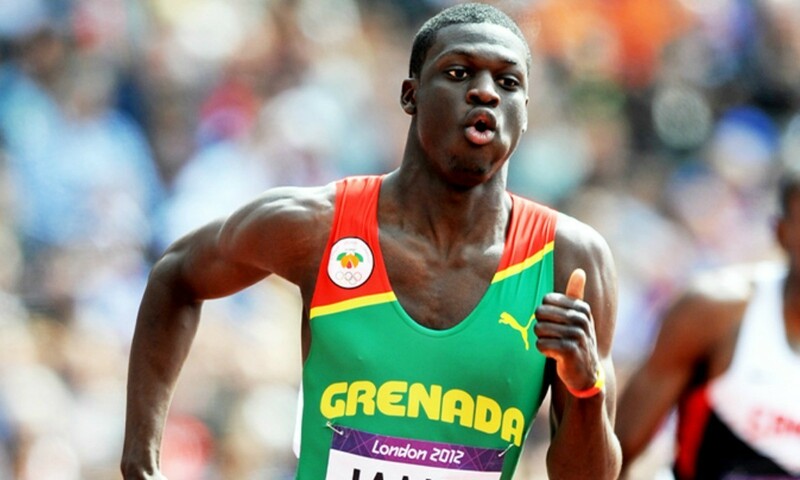 One of the biggest head-to-head battles came in the men’s 400m as Olympic champion Kirani James of Grenada held on to pip world champion LaShawn Merritt of the US. Despite it not being a Diamond League race it was one of the highlights of a series of stacked events, as a sub-44 second run was achieved for the first time this year by not one, but two athletes. The winning time of 43.97 was shared by the pair, ahead of Saudi sprinter Yousef Masrahi with 44.77. Behind them, Britain’s Martyn Rooney clocked a season’s best 45.52 for sixth. The meeting was action-packed right up until the final moments, as the Bowerman Mile featured a world-leading Diamond League record and national best from Djibouti’s Ayanleh Souleiman. Six runners went sub-3:50, led by Souleiman’s 3:47.32 – the quickest mile in the world since 2007. Behind him, Kenya’s 2011 world 1500m silver medallist and Commonwealth champion Silas Kiplagat clocked a 3:47.88 PB, Aman Wote ran an Ethiopian record 3:48.60 and Abdalaati Iguider, James Magut and Collins Cheboi all ran personal bests as two-time world champion Asbel Kiprop clocked 3:50.26 for seventh. The first evening of action – ‘Distance Night in Eugene’ – witnessed a US record for Galen Rupp over 10,000m as the Olympic silver medallist ran 26:44.36 to better his own national mark. There wasn’t any record breaking in Saturday’s 5000m event, though Kenya’s world indoor 3000m champion Caleb Ndiku continued to impress, just missing the 13 minute-mark with a world-leading 13:01.71 and beating Ethiopia’s Yenew Alamirew with 13:02.91 and Kenya’s Edwin Soi with 13:04.92, his confident run and strong kick making the difference. There were a few surprises at this third leg of the Diamond League series. With the world long jump silver medallist Blessing Okagbare in the field it was highly possible that 200m victory could go to a jumps specialist, and it did, just not to the Nigerian. It was in fact Tori Bowie, running in lane one, who clocked the 22.18 world lead, the US indoor championships long jump runner up beating a field also including the likes of Allyson Felix, Murielle Ahoure and Shelly-Ann Fraser-Pryce – down in eighth – to smash her previous best of 22.5. Bowie’s victory followed that of France’s world indoor silver medallist Pascal Martinot-Lagarde who saw off the likes of Hansle Parchment, David Oliver and Ryan Wilson in the 110m hurdles with his 13.13 world lead, as decathlon world record-holder Ashton Eaton also beat 2011 world champion and the Olympic silver medallist Jason Richardson, the multi-eventer equalling his sprint hurdles PB of 13.35, despite switching to focus on the 400m hurdles this year. Russia’s Olympic champion Anna Chicherova cleared a best of 2.01m in the high jump to beat Poland’s Justyna Kasprzycka with a 1.99m PB and Spain’s Ruth Beitia, also with a best of 1.99m. Olympic triple jump silver medallist Will Claye of the US took the lead with his 17.42m (+2.2) in the second round. But he bettered it in the third with a legal wind too, as he managed 17.66m (+0.8) for a meeting record before sitting out his final three goes. World pole vault record-holder Renaud Lavillenie was again victorious with a best clearance of 5.80m, while Czech thrower Vitezslav Vesely won the javelin with 83.75m. Back on the track and Botswana’s Olympic silver medallist Nijel Amos won the penultimate event of the meeting, the 800m, beating Ethiopia’s world indoor and outdoor champion Mohammed Aman and Kenya’s world record-holder David Rudisha who finished back in seventh on his return to competition following injury having looked strong but missing the necessary finishing power. Amos clocked a world-leading and meeting record 1:43.63 ahead of Aman’s 1:43.99, as Rudisha ran 1:44.87 to finish one spot ahead of Britain’s Andrew Osagie with a season’s best 1:45.37. Also among the Brits in action was Laura Weightman who ran a 1500m personal best of 4:02.72 to finish eighth in a race won by the woman of the moment in middle-distance terms, recent African 3000m record-setter Hellen Obiri. Obiri clocked a world-leading 3:57.05, also a meeting record, to beat Sweden’s world indoor and outdoor champion Abeba Aregawi with 3:57.57 as a total of five athletes dipped under 4:00, Jenny Simpson and Sifan Hassan included. Weightman’s fellow Brit Hannah England was 12th with 4:07.40. Emma Coburn claimed a surprise 3000m steeplechase victory in Shanghai and she went even quicker in Eugene, the American clocking a 9:17.84 PB but this time she had to be satisfied with third as Ethiopia’s Sofia Assefa ran a meeting record 9:11.39, also a world lead, and her compatriot Hiwot Ayalew clocked 9:12.89. Britain’s Eilish McColgan clocked 10:15.59 for 11th in her first competition since last September. Justin Gatlin ran faster than his own 100m world lead in clocking 9.76 for victory but with an illegal wind as fellow American Michael Rodgers clocked 9.80 and Frenchman Jimmy Vicaut ran 9.89. World indoor 400m silver medallist Kaliese Spencer of Jamaica clocked a world lead over the barriers, her 54.29 enough for a clear victory with Olympic finalist Georganne Moline hitting a hurdle in the closing stages of the race and suffering a heavy fall. Jamaica’ s Novlene Williams-Mills won the 400m flat in 50.40 from USA’s Francena McCorory with 50.53.